Regionally across North Wales snow showers are expected through the afternoon and into the evening, and there is a possibility of disruption across the area. Flintshire will likely see some light snow showers throughout this afternoon and this evening and will be very cold throughout today, tonight and tomorrow. We are expecting windier weather to start early tomorrow that will result in drifting of laying snow, and some light snow showers returning in the evening. It is expected that conditions will improve throughout the weekend. However, this forecast is subject to change and we have seen significant changes to the forecast over the last 2 hours. Unless a school or education unit is already closed, in the event of bad weather in the morning, it shall be the operators’ sole decision as to whether the contract shall operate. This will depend upon the conditions at the time, the forecast conditions up to 0900, those for the remainder of the day and the location of the route and at the school/college/unit. Parents/students should check the position with the Contractor or contact Streetscene & Transportation on 01352 701234. If bad weather prevents a contract vehicle operating in the morning, no return service will normally operate in the afternoon even if the weather improves. In the event of the morning journey to the school/facility being cancelled by the operator on the grounds of adverse weather, the operator will not normally be responsible for conveying passengers home in the afternoon. In such circumstances, parents/carers of passengers who normally travel on school transport are asked not to bring their children to school themselves. Should they choose to ignore this advice and, at their own risk, undertake the run themselves, the parents/carers then become responsible for conveying the passengers children home again at the end of the day, or earlier, if it becomes necessary to send all passengers home and close the school due to worsening weather conditions. Where a contractor has brought pupils/clients to school/a facility in the morning and the contractor fears conditions will worsen before the end of the usual opening day, it remains the contractor’s responsibility to ensure that passengers arrive home safely. Under these circumstances, operators may wish to start an afternoon journey earlier than would normally be the case and shall advise the school/facility accordingly. The operator shall ensure that it follows the advice then given by the head teacher/facility staff regarding the picking up of passengers early (e.g. as regards dropping vulnerable passengers off who may then be unsupervised at home). 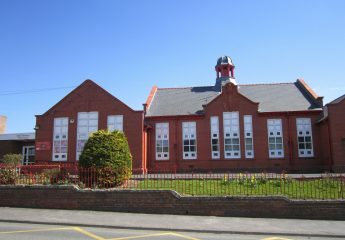 We have asked transport operators that, If they take the decision not to operate in the morning owing adverse weather, they email school.transport@flintshire.gov.uk as soon as possible with the school / day care centre details and route reference to enable the team to deal with any phone calls and enquiries. Please note that the transport office is staffed from 0730 hours each weekday morning. We will endeavour to pass this information on to schools as soon as possible. If you have any questions or concerns please contact Streetscene & Transportation on 01352 701234, where your call will be logged and dealt with appropriately.